Hirsch Glass Corp. was another company that recently showed at KBIS. They are the largest stained glass manufacturer in China. They are famous for their art glass but are now becoming known for their beautiful glass tile. 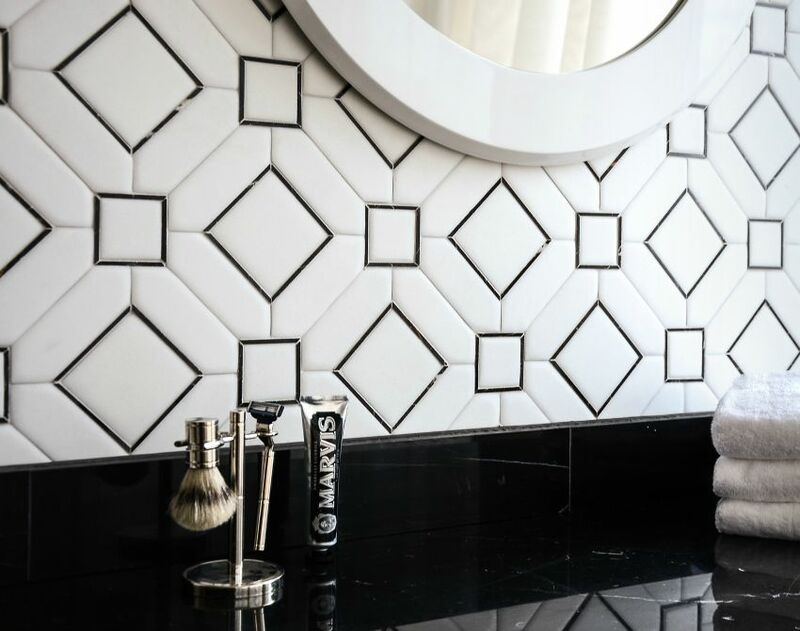 Unlike many tile companies who apply their color to the surface of the tile, Hirsch Glass adds their swirls of color throughout the body of the tile. Their glass has a distinct 3-dimentional appearance. 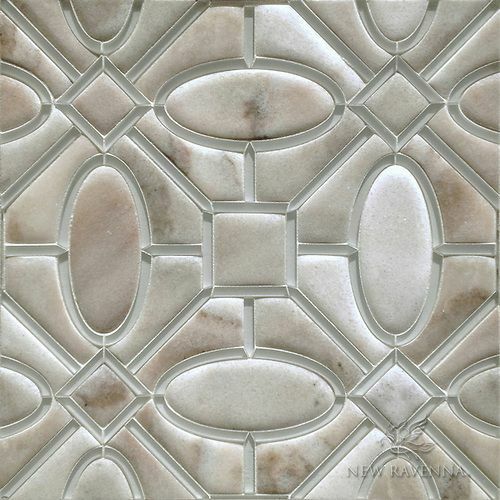 Glace tiles from Ann Sacks is a modern glass version of the traditional ceramic penny round tile. 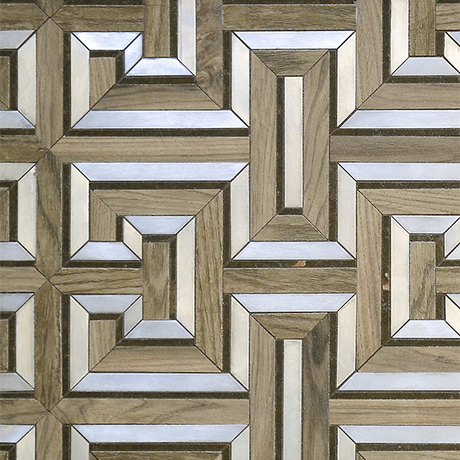 In addition to 3/4″ rounds, this opaque sparkling tile is available in sheets of 1″x 6″ sticks. Ann Sacks uses the traditional method of ladling molten glass into steel molds to form these tiles. 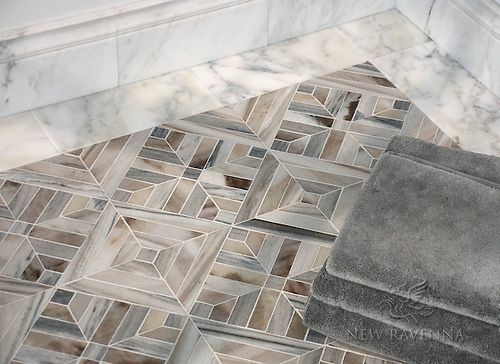 The slow cooling process gives the tiles their aged and scattered appearance. 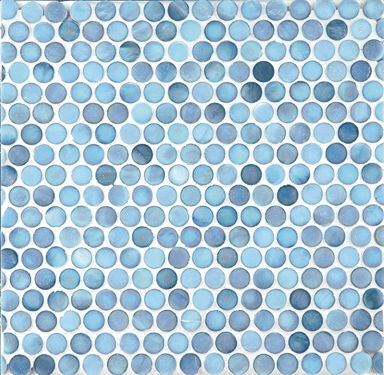 Since blue is the new green I expect these tiles to be very popular.